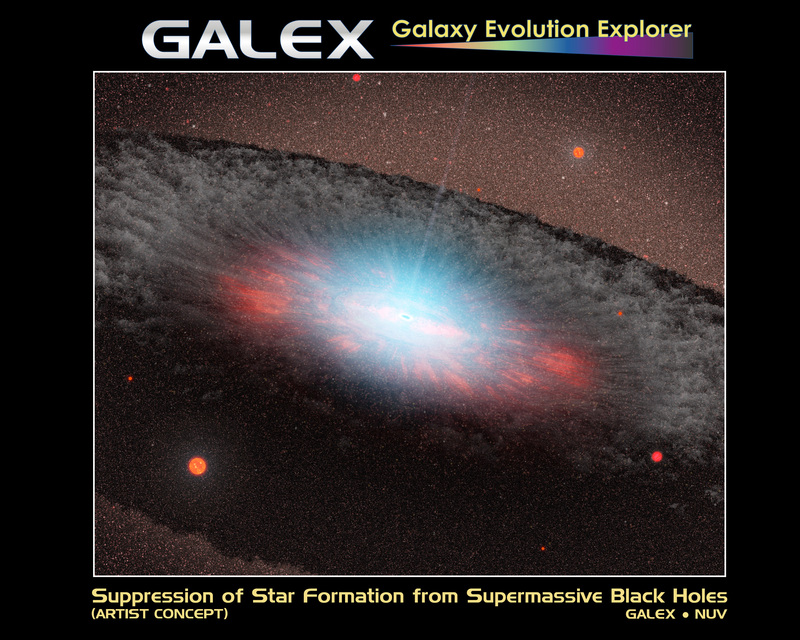 This artist's concept depicts a supermassive black hole at the center of a galaxy. 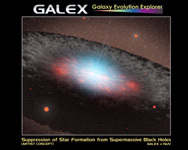 NASA's Galaxy Evolution Explorer found evidence that black holes -- once they grow to a critical size -- stifle the formation of new stars in elliptical galaxies. Black holes are thought to do this by heating up and blasting away the gas that fuels star formation. 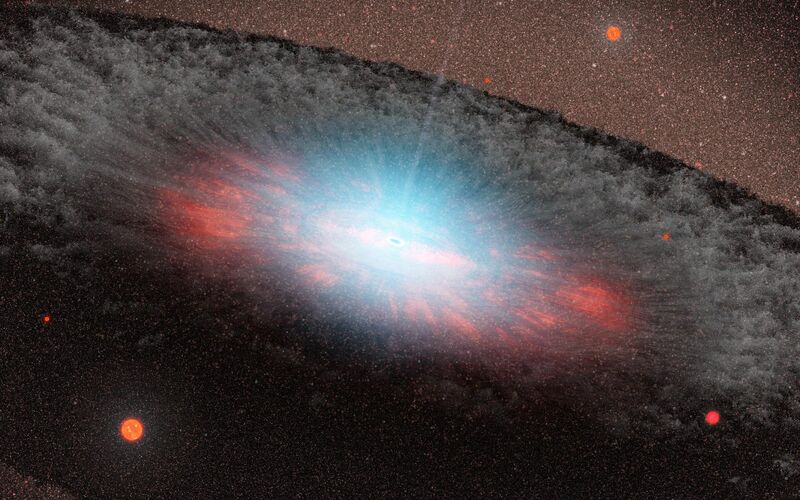 The blue color here represents radiation pouring out from material very close to the black hole. 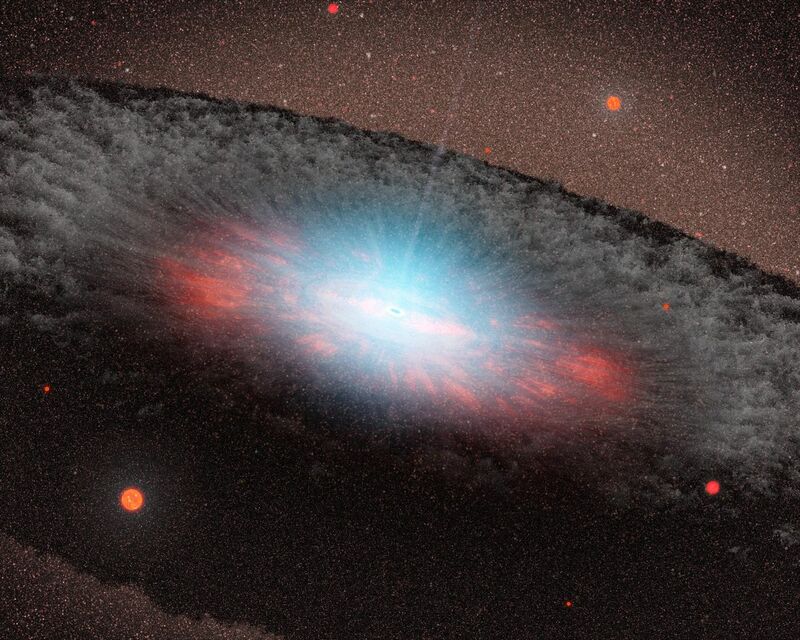 The grayish structure surrounding the black hole, called a torus, is made up of gas and dust. Beyond the torus, only the old red-colored stars that make up the galaxy can be seen. There are no new stars in the galaxy.